Why do Amish only go to school until 8th grade? Amish are well-known for their approach to schooling. Most Amish children attend school in one- or two-room private schools, and end their formal education at the eighth grade. Some observers criticize the Amish approach to education, seeing it as a means of restricting the individual. Amish, however, root their belief in limited formal education in both religious and practical reasons. Amish education continues beyond the 8th grade in various formal and informal venues. Why do Amish feel an eight-grade education is sufficient? There are a number of reasons, one of the most important of which is practicality. As Amish society emphasizes agriculture as well as craftsmanship-oriented and manual trades, Amish feel that formal school learning can only provide limited value. Amish education is oriented around factual knowledge and usefulness. The education on offer at Amish schools can vary, but Amish children typically get a solid grounding in the “three R’s”, as well as some history, geography, German language training, and limited science. The Amish generally see little value for themselves in abstract subjects taught in many high schools and institutions of higher learning. Though they recognize that they and the world as a whole need to services of the doctors, bankers, and other professionals colleges and universities produce, they do not see a need within their own culture for such learning, one reason that Amish do not attend high school. In addition to practical objections to schooling beyond grade eight, Amish also have some religious objections. Theories such as evolution are objectionable to the Amish, who take a literal view of the Bible and the Creation story. Though outright religious education is not offered in Amish schools (religious teaching is typically left as a matter for the church and home), Amish also appreciate the fact that prayer and religious songs are allowed in their parochial schools. The Amish schoolhouse is typically a one-room classroom, sometimes with a basement or with a second room, in some cases divided by a curtain. The teacher is almost always an Amish female. Occasionally Amish males teach, or Mennonites in some areas such as Lancaster County, or rarely, non-Amish (“English”) teachers. The teacher typically handles all eight grades, or sometimes a school may be divided in two, with one class for grades 1-4 and a second for grades 5-8. The teacher may may have an assistant to help her. She typically has an eighth grade education herself, with some supplementary courses in some cases. She is selected for showing good moral character, Christian values, and for having an interest in teaching. 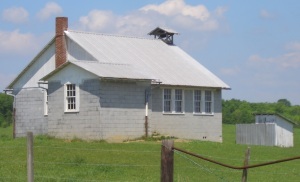 The Amish schoolhouse is typically built on donated land, and contains enough ground for a softball field, as well as (in some cases) playground equipment, and also separate boys’ and girls’ outhouses. Amish families maintain and pay for the school house. A school board, typically 3 Amish males, helps to make decisions such as hiring and salaries for teachers. Parents often visit the school, and each school has a guest book for visitors to sign. The Amish school day is divided into periods covering the various subjects, and includes lunch and a few recess periods for playing softball. The teacher will typically check homework at the beginning of a lesson, and other students will work diligently at their desks, with older students sometimes helping the younger ones. Some Amish do send their children to public schools, for various reasons. This is more common in communities such as Holmes County, Ohio, or in northern Indiana. A few Amish homeschool their children. Yet the vast majority of Amish in North America send their children to the local one-room schoolhouse, a right which they gained after long years of conflict with the state. Amish long resisted modernizing trends in American education before gaining the right to limit their children’s formal education. Objections to a high school education perceived as abstract and unnecessary to an Amish life (detailed above) led Amish to resist state mandates that required education beyond eighth grade. Beginning in the first half of the 20th century, Amish resisted the trend toward school consolidation, which essentially shut down the small often one room rural schools that once dotted the American landscape, in favor of larger, more distant schools. The fear was that a more centralized, distant school would be more removed both physically and ideologically from both rural and Amish values. Conflict over this issue emerged as early as the 1930s in Pennsylvania. Later, conflicts over forced schooling occurred in other states such as Iowa and Kansas. Eventually, the issue made its way to the Supreme Court of the United States, which in its landmark decision Wisconsin vs. Yoder (1972) granted the Amish and other religious minorities the right to remove their children from schooling after eighth grade for religious reasons. Despite the emphasis on ending formal schooling at an early age, Amish education continues after the eighth grade. Amish focus on numerous means of informal learning, such as reading, as well as apprenticeships and mentorships. Amish youth often learn craftsmanship and business skills by watching older relatives and doing things themselves. This hands-on approach has helped the Amish be successful in business as well as an effective means of passing on agricultural skills as well. Some Amish, especially businesspeople, may take supplemental courses, such as correspondence classes, or may attend seminars or classes to pick up a particular skill (for example, accounting). The emphasis is on practicality and usefulness. Amish do not see education as evil or dangerous per se. Similar to their approach to technology, they make use of what is necessary of education, and leave behind that which they deem unnecessary or potentially harmful. Though Amish may end formal education at the eighth grade, that certainly does not mean the end of the road for learning. Numerous Amish retain a hunger for learning after ending formal schooling, and self-taught historians and “Amish academics” attest to the multiple avenues for education in Amish society. 42 responses to Why do Amish only go to school until 8th grade? If an Amish child goes to the public school, does the child quit after 8th grade or do they continue on through 12th grade? Hi Kathy, that is a good question, sorry I was a tad slow to respond–no they would actually finish with the 8th grade and not go on to high school, just like their counterparts attending Amish parochial or private schools. Don’t they want to become more than just homemakers and farmers ? If one of the kids after the 8th grade wanted to further their education and go to a public High School, would their parents let them ? Don’t they want to become more than just homemakers and farmers ? what’s more important than raising children and providing food for nourishment? is trading stocks more important? is selling mortgages more important? is playing professional ball more important? is being a movie star more important? is being a divorce lawyer more important? is being an abortion doctor more important? is making and selling things we don’t need more important? Good for the Amish, I enjoy their business’s! But let’s think about it, what are you referring to as an Amish business and what constitutes successes? Being in busy for X number of years? My first thought was that many Amish business’s do not have the overhead that English business’s have. If they sell things out of their home versus a brick and mortar store front you save a ton. If you have your kids work for free you don’t have to worry about paying minimum wage or other employee costs that English have. I think that there is also something to be said about a niche business. Spot on Lou! Your wisdom is refreshing! I believe it is a law that children attend school until they are 16 in the US. This also gives teachers and authorities the oppoprtunity to observe if a child is abused or mis-treated. I do not believe any religion had the right to ignore established US rules. No one monitors the physical condition of Amish children, they cannot advance their education with only an 8th grade diploma and cannot be active citizens without the education to make decisions about anything other than farm life. AND….. have the teachers only gone to 8th grade? This ia all ridiculous. EVERYONE who lives in this country has to follow the laws – child education and protection are part of the laws. Look up Yoder versus Wisconsin on the education part. As for running a business with an 8th grade education google Kountry wood products. in Nappanee. This is owned by an Amish person. There are many other business’ owned by the Amish. Do any Non-Amish attend Amish schools? Do “english” parents ever send their children to an Amish school? Would a non-Amish child be allowed in? There are probably some “English” parents who would appreciate the curriculum or setting of an Amish school. A question that must have been asked before. I’m assuming that these comments are moderated, and as a result I have little hope that this particular comment will be accepted and receive a response. I can (broadly) understand why – it is your website, and you have every right to control the view points expressed within it. However, my curiosity is getting the better of me. Whilst I (perhaps incorrectly) assume that you, Mr. Wesner, are not Amish, you certainly seem to agree with their view points – your website presents a relatively uncritical view of a lifestyle and belief system that is considered well outside the mainstream by the majority of not just Americans, but first worlders as a whole. My question is simply: if we can assume that the Amish are as inherently logical and as rational as any other human being, how can they not see the implicit contradiction in an uneducated population arguing against education? If none of the community have been educated beyond the 8th grade, how do they consider themselves equipped to judge the worth of that education? In any non-Amish community, an individual with only a grade 8 education would be considered as, to put it frankly, uneducated. Perhaps you can explain to me how the Amish justify their belief that proper, decent adult education is irrelevant without (apparently) any member of the community having received it? I am not Amish and I have grade 12 education. I do not agree with our government making us stay in school past grade 8. I truly feel it is a complete waste of time. I have never used any of my high school knowledge as a home maker. I was a supervisor in a fast food chain. Again grade 12 is not needed. What is needed is well learned reading, writing and arithmetic. It’s really sad to see the education system going backwards. We are not as intelligent as we used to be. People are getting dumber as time goes on. Too much focus is on using calculators and computers. The Amish have it right. They use their minds and live basic. After all isn’t that all we need? We only need food, clothing, shelter and the Bible. The rest is foolishness. Too bad our government can’t understand that. Our parents and great parents were far better in school with the grade 6 or 8 they had. Look at the houses they built. Today the homes will not last nearly as long as those by our fore fathers. They knew how to build, crop and raise kids. I wish we were all Amish. There is a lot we can learn from them. I also feel high school is a waste of time for some. However I also believe most 8th graders are not mature enough to make a life decision like that. I too was a home maker for 15 years. I now own my own cafe and am using a lot of my so called waste of time high school education. Homes today are different from when our parents and grandparents grew up. But let’s face it everything changes. Conveniences like calculators, computers, cars, furnaces for heating our homes and electric weren’t always around and if we all lived the Amish life they would still not be here today. Spend time living the Amish life I bet you wouldn’t last a week! Personally, as an educated business professional with rampant CANCER and SMOG all around us and increasing in alarming rates, I visit an Amish Community for a much needed “dose of reality” and to find PEACE within myself. Did you know that the Amish grow the best tomatoes, eggs, chickens, berries in furtile UN-PESTICED soil? Raise the healthiest horses, cows, chickens, and other animals? Work HARD everyday and LOVE UNCONDITIONALLY? They don’t need hydro to bake delicious natural bread, soups, fine pastris and butter? They are highly educated past grade 8 through MUCH common-sense and are SELF SUPPORTIVE. They easily find work building houses, baking, selling produce, working on farms BECAUSE THEY WORK HARD and DO A GREAT JOB TOO – without being asked – BECAUSE its the RIGHT THING TO DO (Honesty) !! Our “high-tech” world is KILLING US! Did you know that they take care of their ELDERS? Until Death! YES… they don’t stick them in an old age home with people they have never seen their entire life. They simply build a small addition to their home to have a place of their very own and take care of them to the very END. I would LOVE to know someone was doing that for me! I fear Elder Abuse in our Nursing Homes… It know it exists! Education? – Take a visit into an Amish Community before you make an UN-EDUCATED comment. BUT leave your Pitty and Ignorance home; they should feel sorry for us. Amish fight hard to keep their FAMILY beliefs alive. LEARN their DIVORCE RATES. Make it a mission to take care of our LAND and the PEOPLE we love. Because YOU can’t take your WORLDLY BELONGINGS with you when you go. I Love EVERYTHING AMISH and I look forward to my regular visits to DESTRESS… Thank God for the AMISH. PS – I am NOT Amish or related to an Amish Family. I have raised my son and he is doing well in the Medical Field. Constance you seem very angry. I see you misunderstood my comment. You visit the Amish country? I live near Amish. They are my neighbors. I buy food from them weekly so I know the high quality produce and eggs and caned goods they offer. I visit with them know them personally and take them places when they need a ride. You and I depend on this high tech world and so do the Amish. If I could simply build an addition on to my apartment and take care of my parents when they need it I would. Its just not possible. There is no divorce because divorce is a sin. If a husband is abusing his wife it is hidden. Women endure much suffering from abusive husbands. If a wife goes to the elders and tells them she is being abused they tell her to honor her husband do as he says and then he won’t hit you anymore. Same goes for child abuse and molestation. They keep it hidden because it’s sinful. As for worldly belongs I have little. I don’t want belongings. Just like you I want unconditional love. My children parents and fiancée give all I need. I love living among Amish and calling many of them friend. That doesn’t mean we agree on everything. Still we love oneanother. I am so sorry Jenn. I thought I was responding to Daniel Posner’s response. Seems those caught up in the material world don’t take the time to learn about other Cultures. Some automatically think the Amish don’t know what is going on in the world, are poor and feel sorry for them. Of Course those of us like yourself know the happiness we feel knowing an Amish family. I am involved with the amish community ,an they put up a good front.but dont be duped and decieved.they have learned from little children up just how to work the english people.and laugh behind your back when they can make a dollar off you .they teach it to their children.their children will teach it to theirs.and etc.and lots go on behind closed doors .if you only knew.by the way the children are brain washed and are begging to be set free from the ordnung.are control they want to be free to be indivigials.not clones.and to lead a more normal life.not hide under straw hats and bonnets. Aww. Do you know how pathetic you sound. If you want to be English. Go ahead but be grownup enough to not blame your family . Don’t care if you are Amish or English people have problems. Are all English people the same ?? I may be a little late to respond to your post , but I only came across it today.Seriously, your post is pretty offensive to us Amish.You are obviously putting all Amish in the same box.So, are all English as judgmental of the Amish as you ? Thankfully, I can answer my own question and NO they are not. Thank God !Just because I only have an 8th grade education does not make me uneducated. In fact I’ve taught school for 10 years and all my students older than 3rd grade could write a letter with better spelling and punctuation than some of the posts I’ve seen on here, including yours.Seriously, get educated about the Amish before you judge us. Just because we quit attending school after 8th grade does not mean we quit learning.My 3rd graders read books that are upper grade level.They know more about Famous Americans in History, than I bet most high school kids do.Amish children learn to THINK and FIGURE and use COMMON SENSE.And please keep in mind-WE ARE NOT ALL THE SAME ! There are 227,000 Amish in the USA as of 2008. Of those, Holmes County has 30,000 in 227 church districts.Ohio alone has 52 settlements, with 434 church districts, and around 60,000 people.So, hopefully this can help you better understand the diversity among the Amish.Let me suggest you broaden your horizons and learn about other Amish groups. And, frankly, although some decide not to join the Amish or leave later after baptism I honestly believe most of us are happy.There’s something to be said for love,security, and being surrounded by caring family and church in times of need or anytime.Looking from the outside in is not the same as growing up and choosing to be Amish. I have nothing against higher education.We need you:doctors, lawyers, and other professionals. All said in love and hoping for more understanding. P.S. There are some very good articles on this sight that you should read. I have to tell you, your theory about Amish simplicity and a healthy lifestyle is a complete farce. I grew up in Amish country. I had an Amish live-in nanny all my childhood. Went to her house many, many times. The notion of their wholesome lifestyle is B.S. The cancer rate amongst the Amish is huge. They DO use large amount of pesticides and chemicals in growing their crops. The rate of mental illness and developmental retardation within the Amish community is huge. No one is going to like to hear this but there is a good deal of inbreeding in the Amish community. Thin about it, they marry within their tiny and limited community. They all can be linked back to each other. I have personally witnessed these unions. Not making his up. I’m not saying all Amish are bad people but their faith is riddled with contradictions. Dig deeper. Theirs is certainly not living a lifestyle that can be toted as superior. Wow ! That was a lot of big words . Did you ever build an apartment building designed by your college educated graduates. Looks good on a computer but it just do t work when you put it together. Common sense just isn’t to common. I was thinking that the Amish community would benefit from some Doctors,Nurses, or lawyers that understood their culture but also understood modern medication or law. I am sure these people are very intelligent. Hi,im 16 years old and amish. Im not planning on staying amish. This fall im gona get my ged and later hope to go to college and get my bachelors degree in interior design. My parents know about this and their not happy about it but let me make my own choices. They wouldn’t support me financially when I go to college. Im a hard worker and have a minimum wage job. I would do everything online so I can work during the day. I would not get shunned because I didn’t get baptized in the amish faith. I could still live at home because of that. The reason im online is because im in my rummshpring. Does anyone have any advise how I could pay for college?? If you are only 16 see if you can go to your area high school and graduate. It’s easier to get in to college and get a job if you do. High schools also have information to help you get financial aid grants and other ways to help you pay for school. If you are from Pennsylvania you can to go on line to the Pennsylvania higher education assistance agency. They can help you. How's it been, not being amish? I assume by now you have left the amish. Is it as good as you expected? How are you doing with your education? I have left the Amish not to long ago, So far it is as good as I expected. I love all the freedom that I now have. As far as education goes, I got my GED,I took a couple business classes. I’m working 2 part-time jobs doing bookkeeping and accounting. I changed my career path from interior design to business/accounting. I’m studying for my SAT test at the moment and hopefully this coming new year I will be attending college and working to obtain my bachelor’s degree. Do I wish I was able to go to high school? I have mixed feelings about that. While I’m a bit disadvantaged on the education side, What I do have is work experience and ethic, which I feel goes a long way. well, I certainly love to learn. I am in highschool now, and find it very important. However, since I am not Amish, I have to find my place in the world which would probably require more than an eighth grade education. But if I was Amish then I wouldn’t need it because you don’t need Calculus and AP literature to farm or have your own business. I see this education rule as making sense because if you live in their culture there is no reason to need more education. This is a sincere question. I’m just wondering how the education level of the Amish children compares to the ‘outside’ schools. Are the Amish over-all better at the three “R”s, equal or lower. I know many public school students that, after 12 years, still can’t read, write or add without a calculator. How does the Amish’ reading comprehension, etc., compare? Ray, that’s a good question. The problem is their is no cookie cutter “Amish” school. They really vary from the conservative schools which use archaic texts, to the much more modern classrooms which may have things like art class and frankly, better-trained and qualified teachers. 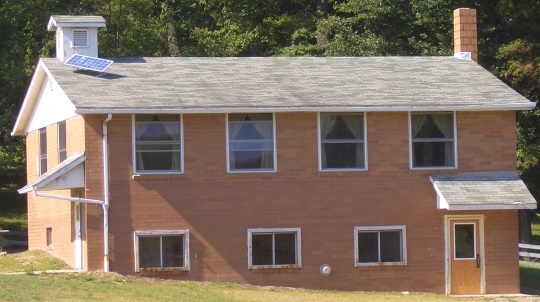 I think generally Amish schools compare pretty favorably, though. If you’re really interested in this broad topic, check out Karen Johnson-Weiner’s Train Up a Child on Amish and Mennonite schools. I have been associated with the Old Order Amish since childhood and my days as a New York City Freshair. I have continued my relationship with the community into my adulthood. I am a certified teacher and nurse and both have helped me when I am in the community. The Old Order amish students know their 3 R’s well and some are well into the caluclator system. There are numerous little shops where I go and they have the calculators (battery operated natually). The branch of the folks I go to are also known as Beachy Mennonite, a derivative of the Amish. Many of the grandparents and great grandparents were involved in the split back in 1927. Today their off springs are some of the most intelligent people that I know of. They are the most helpful and willing folks also, and don’t every relate to them as being uneducated as they know more than the average “English” person knows about their land, animals, crops, buildings and so forth. They know where and whom to seek in situations they are not fully understanding. If our public school would follow their agenda for classes our graduating seniors would know how to read and even know how to write cursive beside printing very clearly. The school rooms are neat and clean, the students are respectful to their teacher, even if she only has an 8th grade education. The teachers are chosen by the church leaders and they truly check them out, but once they are married, they can no longer teach especially if they have children. My folks are out of the Salisbury-Meyersdale Pa-Grantsville Md areas. I think it is wonderful to stop school whenever a child no longer wants to be there. But the laws in Pennsylvania I think, are to attend school until age 18. I know many parents (and kids) in Pennsylvania who don’t want to send their kids to school, and don’t want to answer to homeschool authorities. Is there a legal way to do this? Thanks! There is a legal precedent established via the 1972 Supreme Court case of Wisconsin v. Yoder for this religiously-based exemption. If you are not a member of a religious group that this applies to I don’t know of any way to do this. I’d also think it would be helpful for most people outside of these tightly defined religious communities, simply from an employment standpoint, to get a high school education or a GED equivalent. If your first sentence were a reality I would have never completed first grade. I was invited to an 8th grade graduation for an Amish kid that works at an Amish store I go to every month or so. I am not sure what to expect. I asked him if other English people would be there and he said yes, some of them the drivers for those that could not make it otherwise. My main question is, do I bring a graduation gift of some sort for him, and if so, what? Does anyone have any experience with Amish graduations? The Amish children go to the school up until 8th Grade because of the “teenage years” a.k.a. Rumspringa. It means that the teenager can do stuff that normally they wouldn’t be able to do like get a car. After Rumspringa is over, which usually happens until they are married, they continue on with their Amish lives. Sometimes before they are baptized into the church they decide they want t leave the Amish community. They are not shunned, so they can still have contact with their Amish Family. Please Kaylee are you serious? Rumspringa is not the reason Amish children only go to the grade. It is a time period that Amish children get to experience English life style and make a decision about weather or not hey want to be baptized into the Amish church. The education received in high school is really to prepare you for college; then after college if you decided to be a productive member of society in terms of engineering, business, manufacturing, automotive industry, etc, etc… then that high school and college education is used every single day. Most people are not able to see how trigonometry and calculus is used every day because most people do not become engineers, scientists, doctors, accountants, or any other high-level professional in society. You have to continue beyond high school to see the value of a high school education. If you desire to work in agriculture, or McDonald’s, then yes, 8th grade education will be well sufficient. Try designing a building or bridge with only an 8th grade education and you will see my point. (P.S. I have a bachelor’s degree in engineering and I’m working on my master’s). My next point is this: everyone is entitled to their own choices. If the Amish choose not to attend beyond the 8th grade, then they are also choosing not to contribute to society by becoming a higher-level working professional. They also make the choice to only live life at a certain level and not experience higher socioeconomic (which I believe is their point). That’s their choice; I respect it. My above comments were only to address those who are stating that they cannot see the point of a high-school education. There is another world beyond lower-level incomes, and obtaining higher education opens doors of opportunity that would not happen with only an 8th grade education. I was finding this an interesting site until I read this page and its comment section. I haven’t seen such a vehement defense of enforced ignorance as a means of social control in a very long time, and it comes with the special spice of attack posts aimed at anyone who defends the importance of higher education. Over and over, posters make comments stating that an 8th grade education is “sufficient” for an Amish lifestyle. I’m sure it is, but it’s not sufficient for life beyond that closed community, therefore it becomes a means of social control and entrapment. Youth have no choice in whether to accept a religion and worldview if they are not equipped effectively for the outside world. This same behavioural control is practiced in many cults, such as the fundamental FLDS. The literature is also extensive on the psychological damage done by shunning in many religious and social groups, and many cults like Scientology practice it on those who leave their “churches” or on family members who don’t share their belief systems. What really motivates my comment, however, is comments by various posters, most especially “lou”, how viciously attack posters who question this 8th grade policy, in that particular case by strawman attacks on professions that “lou” doesn’t personally approve of. (This includes lawyers who advocate for persons needing divorce from violent abusive spouses, and doctors women who want control over their own bodies and reproduction. Better to leave this to male “Elders” who “know what’s best” for spousal assault victims and pregnant women, right?) I was interested in this site until I realized what is really appears to be, a fountainhead for zealotry, closed-mindedness, and an apologist voice enforcing ignorance as a means to religious despotism in people’s lives. I won’t return. Leave a reply to Why do Amish only go to school until 8th grade?